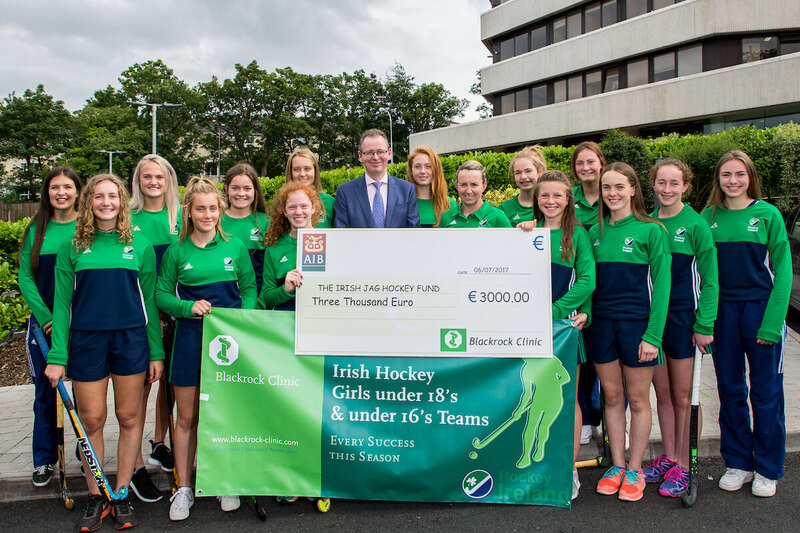 Following a strong tradition of supporting our neighbours and community, Blackrock Clinic has the privilege of sponsoring the Ireland Girl’s International Under 18s and Under 16s Teams, as they head into the 2017 Six Nations Tournament hosted by Spain in Terassa, Barcelona. Their journey began earlier this month with a build up of three tests played against Scotland in Glasgow. Due to depart for Terassa on Monday the 17th July for the tournament real, they will face a gruelling week of matches against their best European counterparts from England, Belgium, Spain, Germany and Holland. The tournament is league format so the Ireland squads will meet all five nations in that order of play. Before leaving for their Scottish tests, I had the pleasure of meeting some of the team members and their supporting parents. They turned out in their Ireland kit to explain a bit about their sport and the commitment it entails. It is evident that there is a passion for girl’s hockey Ireland wide, congregating in areas able to facilitate the Astroturf pitches which have been mandatory for all international tournaments since the 1970s. The ability to access synthetic pitches gives Irish girl’s teams the ability to play to international standard, yet casts a serious burden of expense on the clubs and players. The surface has rendered the game faster and more accurate, bringing about developments in game tactics and equipment specifications. Hockey sticks are now made of expensive synthetic composite materials, instead of the wood remembered by my generation of players. Protective equipment for goalkeepers and field players has been necessarily brought in line with the heightened ball velocity. Sadly, the girl’s teams face a constant struggle to get recognition, and are entirely self funded at present. The set up, maintenance and running costs are onerous. When you add to this the cost of entering an international tournament, such as travel and accommodation for the squads, (each consisting of manager, coaches, 11 players, 7 subs and their own physiotherapists), it becomes a considerable challenge. Funds are routinely accumulated through subs for training sessions and camps, but are crucially augmented by tremendous fundraising efforts on the part of the teams and individuals. Blackrock Clinic has a large retinue of sports people and athletes on our patient, consultant and staff registers. 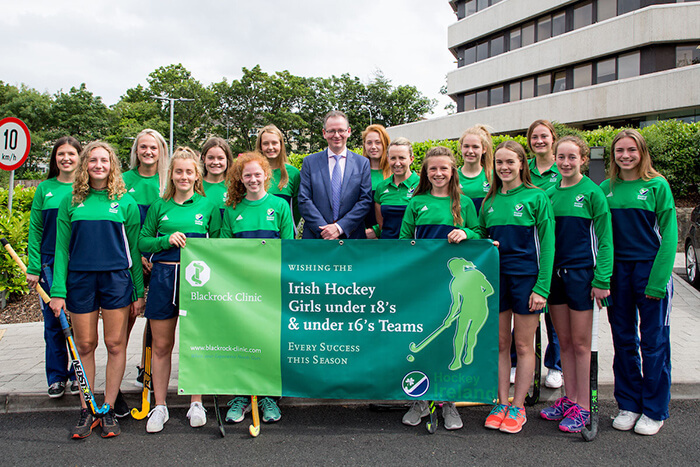 On behalf of us all, I wish the Ireland Girl’s International Hockey squads the best of luck in this year’s Six Nations Tournament, and hope that their sport gains the recognition it deserves in the near future.